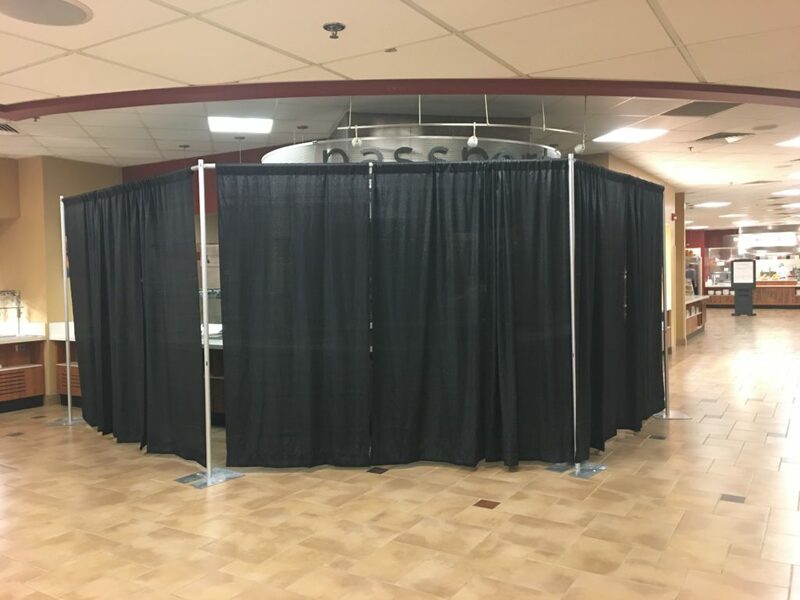 Since fall break, stu­dents may have noticed a black curtain cov­ering some of the food sta­tions in the Knorr Dining Room due to ren­o­va­tions. Ren­o­va­tions were com­pleted on the Passport and Forno sta­tions of the Knorr Dining Room on Thursday, Oct. 24. The con­struction began over fall break and was carried into the fol­lowing week, due to unex­pected plumbing and elec­trical issues. The ren­o­va­tions came after Bon Appetit noticed dete­ri­o­ration in the coun­tertops and decided to make other needed changes, including addi­tions to the menu. 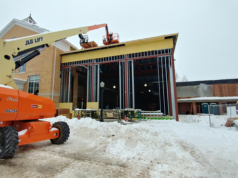 “What we wanted to do is add an addi­tional hot and cold well to both sides of Passport, to provide two streams of traffic with the same expe­rience,” said Bon Appetit General Manager David Apthorpe, adding that stu­dents will now be able to get their food more quickly. 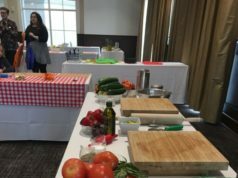 According to Apthorpe, the original goal was to com­plete ren­o­va­tions before summer ended, but there were other projects that took pri­ority, so Bon Appetit aimed for fall break. After beginning ren­o­va­tions on Wednesday, Oct. 17, the last day of school before fall break, Bon Appetit ran into some unex­pected delays due to repur­posing some of the older equipment, in addition to plumbing and elec­trical chal­lenges. The ren­o­va­tions took their toll on what stu­dents and faculty alike already per­ceived to be a heavily con­gested area. Instead of evenly spreading out traffic across all sec­tions of the cafe­teria, all stu­dents were packed on one side. 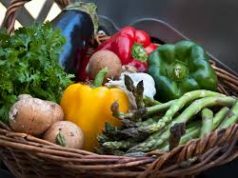 However, Powers did say things are hope­fully going much faster now that ren­o­va­tions are com­plete; there is also now a greater variety of food being pro­duced. Apthorpe said Bon Appetit will gauge pop­u­larity of the pasta, and it could pos­sibly become a weekly item, similar to Taco Tuesday. Powers also men­tioned there is talk of future expansion in the menu made pos­sible by the ren­o­va­tions. He hopes to have stir fry, a pho station with dif­ferent noodles, veg­etables and miso broth, and maybe sushi in the distant future. He said Bon Appetit tries to cater to student’s evolving tastes and today that includes pro­viding healthier options. According to Powers, french fries is the only fried item on the menu. He said the market area, which Bon Appetit expanded with gluten-free and vegan options, is very popular among stu­dents, and the salad bar is always packed with people. The college funded all ren­o­va­tions after Bon Appetit rec­og­nized the need for ren­o­va­tions and brought it to the administration’s attention, Apthorpe said. Although planning began before he came to Hillsdale, Powers said he has already observed that Bon Appetit and the college work well together in his short time here. “Bon Appetit is always just good at ren­o­vating and changing things up in order to meet demand,” Powers said.